#ModelMONDAYZ is a weekly late night happy hour and social. Our purpose is to bring members of the fashion/music/entertainment community as well as people who love fashion and style together for networking opportunity, brand awareness and a GREAT time! RUNWAY MODELS are a quintessential piece to the success of Fashion Brands – undeniably! Tonight, we pay homage to the Runway Model – only the BEST of the BEST shall emerge! 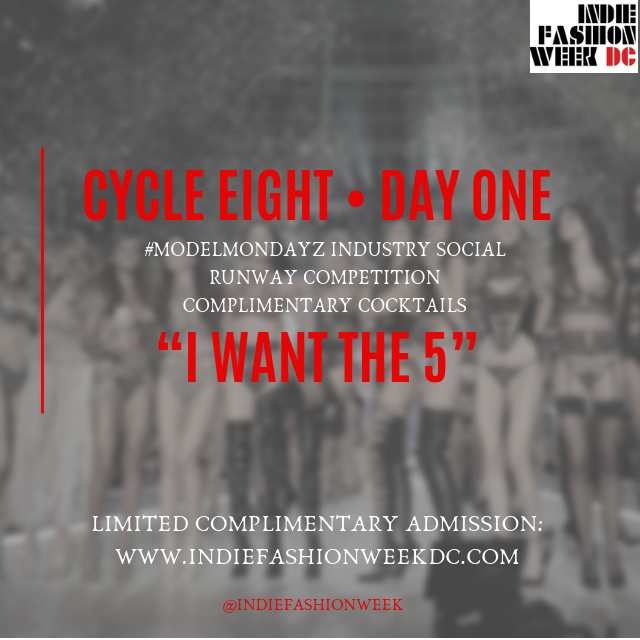 Runway Models will compete for $500 in Cash AND Prizes and the title of INDIE FASHION WEEK RUNWAY CHAMPION! [7-9pm] Speed Networking & Happy Hour // BRING YOUR A GAME AND BUSINESS CARDS! Don’t forget to RSVP for COMPLIMENTARY ADMISSION! !